Sun is shining, it is sweltering hot, everybody wants to go to the beach and finally, PAG-ASA has announced it- SUMMER IS HERE! And with summer comes the outings, because we all wanna cool off and go to a paradise- be it beach, mountains or the countryside. Here's a checklist on what summer essentials should not leave your Beach travel bag for summer 2018. 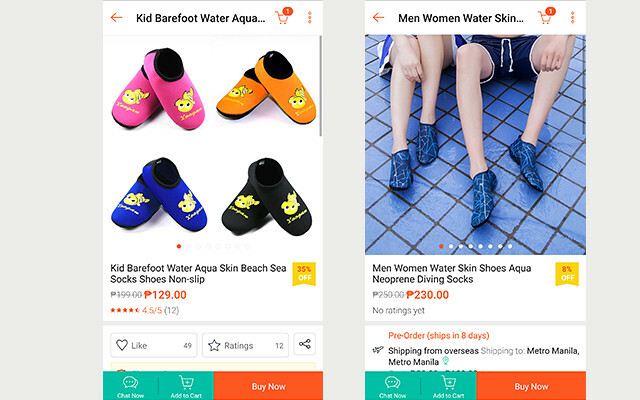 And you don't really have to go that far off to buy if you don't have these in your stash- all you need is your phone, the internet and the Shopee App! SUN PROTECTION FIRST before anything else. There are a lot of sunblock in the market. 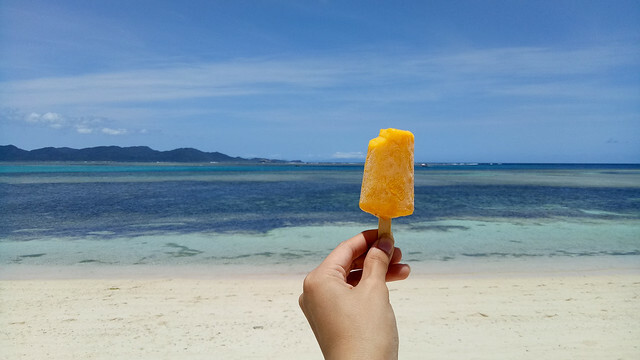 I personally like the one that is non-tacky, because I know I'll be sweating in the beach, I don't want to feel sticky before that anyways... My top picks for sunblock would be the Belo Sun Expert Travel pack because it's so tiny, cute and travel friendly plus it does the job. Another would be Biore UV Aqua Rich Watery Essence SPF 50 PA+++ as this is much like water and is easily absorbed by the skin- no tacky feeling! The one I have tested thoroughly which I recommend is the Dewytree Brightox Sun Cream with SPF50 PA+++ (review here) for the face and body if you're willing to splurge, as this one I didn't have to change my foundation color after using this while on the beach. This one is perfect for walking on beaches that have corals and you don't want your slippers slipping off your feet! 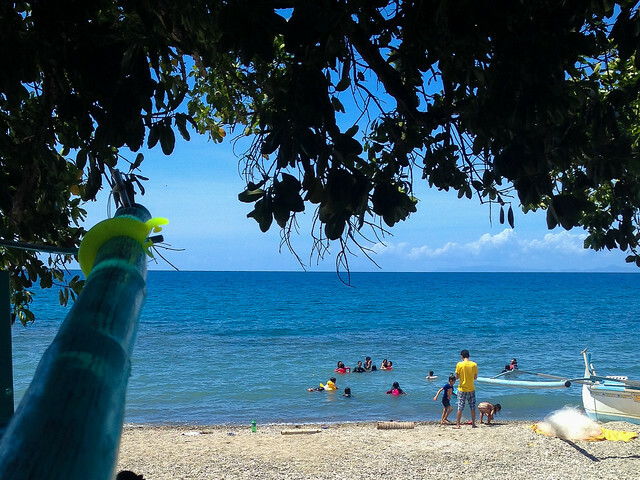 (Laiya has a beach full of stones and Matabungkay has quite a lot of jagged corals- this is just perfect!) And the nice thing about this is that you can also find a size for the kiddos. Plus ang mura lang niya oh! 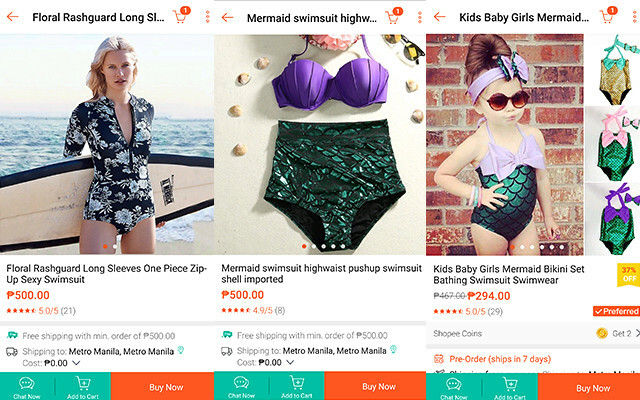 But Shopee also has cute pieces like this mermaid inspired swimsuit to bring out the inner princess in you.. Or your bagets! 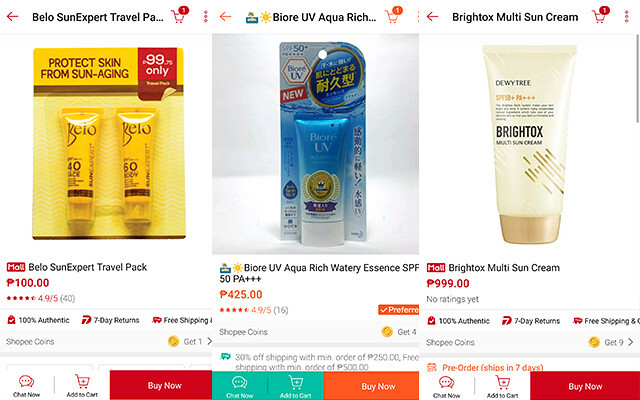 The best thing about shopping online via Shopee is that it saves you a lot of time and the items are affordable and of high quality too. Happy shopping and hope you have an awesome summer ahead!